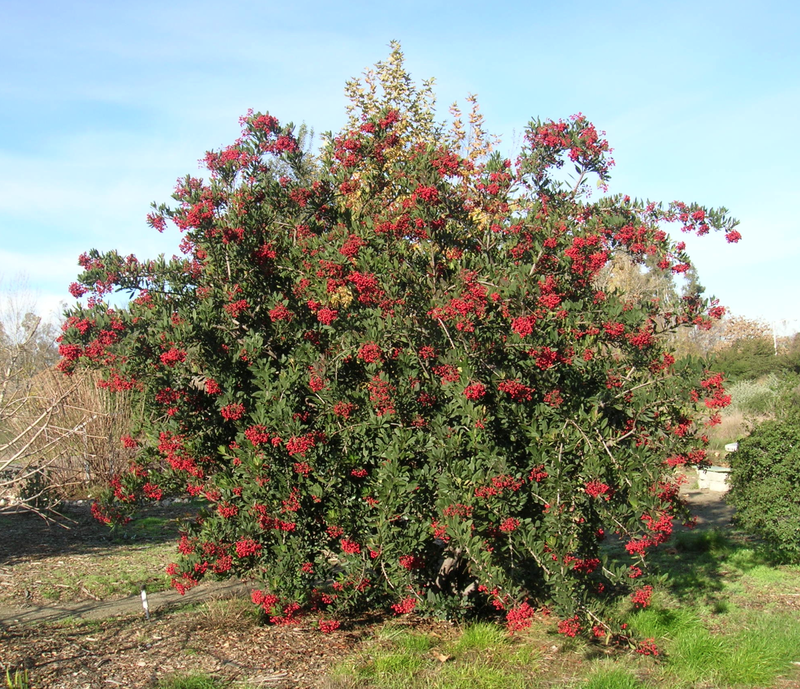 This is good news for hedgerows, rows of shrubs, trees, grasses and flowers that are planted on field edges. The plants bordering crop fields provide habitat and floral resources for beneficial insects, such as bees and natural enemies, that help with pollination and biocontrol of pests in adjacent crops. Hedgerows also help enhance biodiversity – especially for insect-eating birds – help reduce wind and soil erosion, and protect water quality. The two-year study in Sacramento Valley walnut orchards and processing tomato fields was led by Long and Roger Baldwin, UC Cooperative Extension vertebrate pest control specialist at UC Davis, former graduate student Laurel Sellers, the Western Center for Food Safety at UC Davis's Michele Jay-Russell, Xunde Lib and Edward R. Atwill, and Richard M. Engeman of USDA National Wildlife Research Center. The study, titled “Impact of field-edge habitat on mammalian wildlife abundance, distribution, and vectored foodborne pathogens in adjacent crops,” was published in the February 2018 Crop Protection (Sellers et al. 2018). Elsevier is providing 50 days of free access to this article. Anyone clicking on the following link before March 31, 2018, will be taken directly to the article on ScienceDirect. No signup or registration or fees are required. Simply click and read at https://authors.elsevier.com/c/1WXU~xPFYej~4. Winter migratory birds like to eat the lovely red berries of toyon. This journal article supports a growing body of literature suggesting that plantings along the edge of fields do not substantially attract wildlife species that intrude on fields and transfer foodborne pathogens. 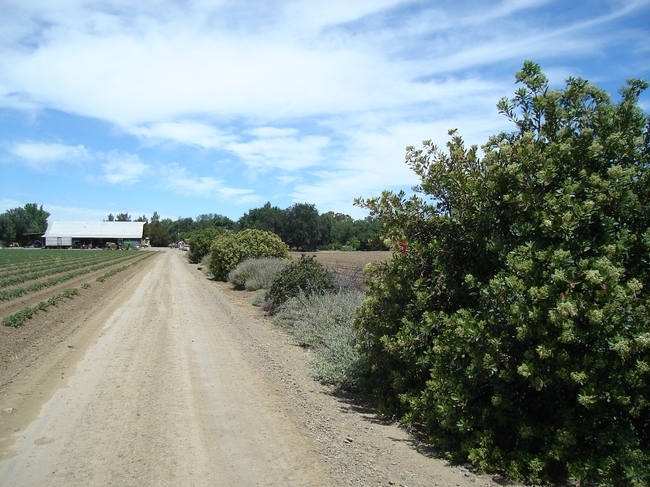 For example, in a 2015 study, UC Davis researchers found more food pathogens when wildlife habitat was reduced on farms. This may be attributed to the vegetation filtering pathogens, a better breakdown of pathogens in diverse environments, and that removing vegetation may not deter wildlife from entering farm fields. Relative to the larger crop acreage, hedgerows and similar field-edge habitats are generally too linear and small to serve as a significant source of rodents to damage nearby crops. However, cottontail rabbits favor hedgerows, and can sometimes cause damage to adjacent seedling crops. 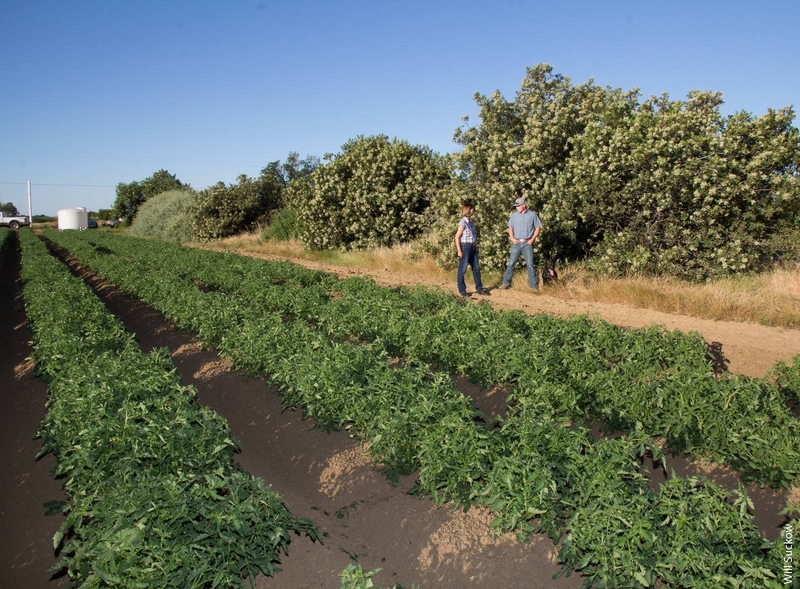 “Overall, we found risk of crop loss or contamination of foodborne pathogens in crops bordered by hedgerows wasn't significant in our study in the Sacramento Valley, although potential damage could vary by the stage and type of crop and wildlife species present,” Long said. She will be presenting this work at the 28th Vertebrate Pest Control Conference, which will be held in Rohnert Park Feb. 26 to March 1. Hedgerows, the plants bordering this field of processing tomatoes, provide habitat and floral resources for beneficial insects that help pollinate crops and provide natural control of pests.